100% Original, very well packed, Worth the money and Highly Recommend this seller! Received in very GOOD packing👍 and original. thanks. We Thank You for your interest in House Of ITALIA Products. Extra Virgin Olive Oil: Made from the first cold press of highest quality olives. it has acidity less than 0.8%. Usage: Best for use in Vinagrette or Drizzled over Pasta, Hummus, Salad Dressings etc. use it at low heat . Thanks for your interest in ITALIA Extra Virgin Olive oil. Yes ITALIA Extra Virgin Olive oil can be taken orally. Infact it is recommended to do so as it has many health benefits some of which are as follows: It reduces the risk of heart disease, it also has antioxidants that protect blood cells from damage. It is an aid in losing weight, drinking olive oil in the morning also helps to detoxify the body. It also has a protective effect on the liver and lowers LDL cholesterol and lowers blood glucose levels. An olive-oil-rich diet is not only a good alternative in the treatment of diabetes; it may also help to prevent or delay the onset of the disease. Can we use this oil for hair? We thank you for your interest in House of ITALIA products. 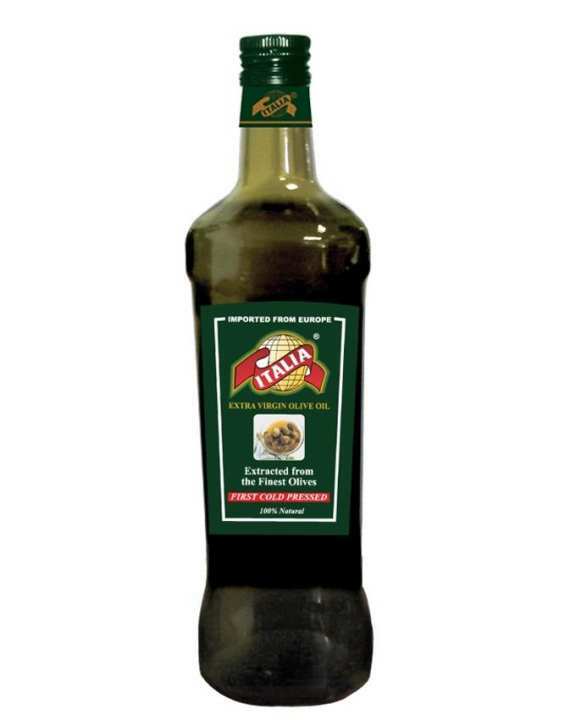 ITALIA Extra Virgin Olive Oil is very good for oral intake as well as massage on the body and in hair. However we also have ITALIA Olive oil exclusively for Hair care.